ONCHAN, Isle of Man – September 19, 2017 – The deep-structured, low buy-in live poker series designed for recreational players, PokerStars MEGASTACK, has added an additional stop to its schedule in Malta this October, PokerStars, the flagship brand of The Stars Group Inc. (Nasdaq: TSG; TSX: TSGI), announced today. 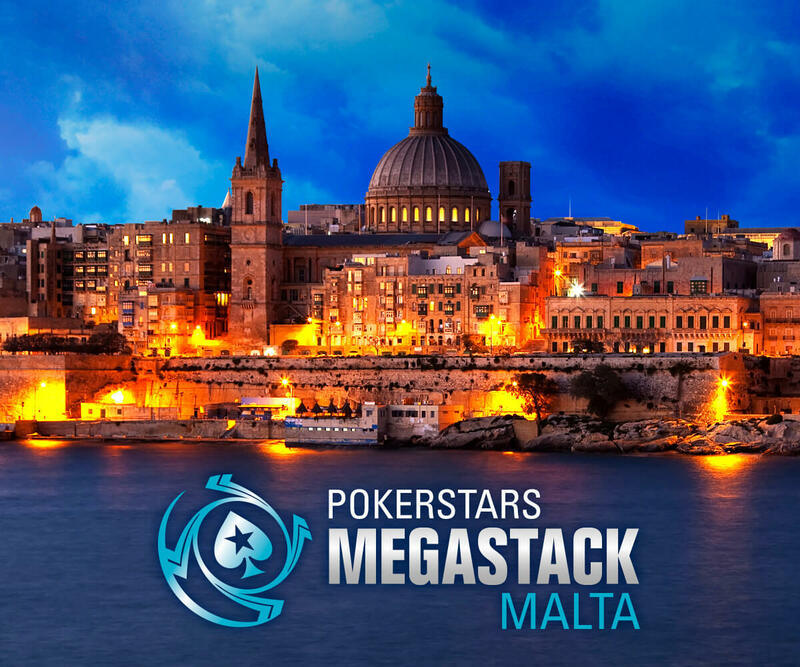 The PokerStars MEGASTACK Malta event will take place from October 19 – 22 with the €170 buy-in Main Event prize pool guarantee increased to €40,000. Action will take place at Portomaso Casino in the lively seaside resort of St Julian’s, the unofficial ‘capital’ of Maltese nightlife. St Julian's is home to dozens of clubs, bars, cafes and restaurants, and is the perfect setting for a MEGASTACK event. Details of the full tournament schedule can he found here. Online satellites will run on PokerStars from September 24 to October 18. Earlier this year, PokerStars launched MEGASTACK, a series of grassroots tournaments delivering an exceptional live poker experience at a low cost. This year, more than 5,800 players have participated in the MEGASTACK series contributing to a €870,890 total prize pool thanks to record breaking entries for some of its grassroots activities and initiatives across Europe, which further demonstrates the company’s commitment to growing the game locally and investing in local poker communities. Throughout the year, the popular MEGASTACK live poker tournament series has expanded its European reach across the UK, Ireland, Belgium, France and Iberia, and to New Jersey in the U.S., with further plans to expand into other markets shortly. The inaugural Sunday Million Live held at King’s Casino, Rozvadov with a €1 million guarantee became the largest poker tournament ever held in mainland Europe, attracting 5,045 entries (2,672 unique players) from 66 countries. PokerStars MEGASTACK France at La Grande Motte broke the record for France’s largest live poker tournament at 2,177 entries. Jonathan Jovet emerged victorious for a cash prize of €43,148. With another nine events to go, MEGASTACK is half way through the 2017 schedule with events still to be held in Namur, Estoril, New Jersey, London, Connacht, Madrid, Luton, and Forges-les-Eaux. The first MEGASTACK of 2018 will kick off at the CityNorth Hotel & Conference Centre in county Meath, Ireland for the perfect fun-filled poker weekend. More information on PokerStars MEGASTACK can be found here.